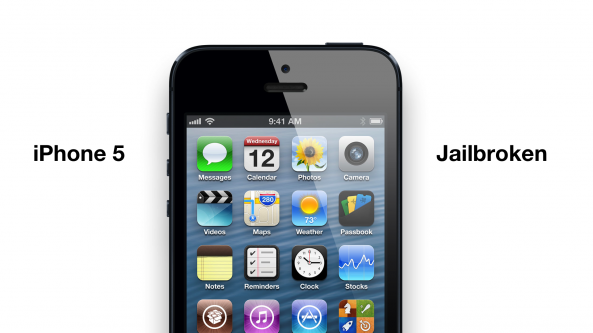 On the release of iOS 6 in public, we have seen a quick response from the iPhone Jailbreak community over publishing the images of iOS 6 Jailbroken on the latest iPhone 5. But then again we have not heard a single word on the release and production of iOS 6 untethered jailbreak for the iPhone and iPad devices. Like every major iOS release, everyone in the community knows jailbreak will take time to come in the public, and they held back to safe the iOS 5.1.1 Jailbreak status. However, earlier this morning a tweet comes into our desk with claims from the Pod2G – An iPhone Jailbreaker behind the iOS 5.1.1 untethered jailbreak exploit, said he is not working on the iOS 6 jailbreak for the public. But he will talk about the possibility and complexity of iOS 6 security on the WWJC 2012 event. Many of you may be waiting for the iPhone jailbreak support for the iOS 6 from the hackers, but it is slightly disappointing for the jailbreakers to learn that no one is currently working on the iOS 6 untethered jailbreak exploit. We can assure you, the iPhone jailbreak community is almost up on the iOS 6 Jailbreak, but to protect their very own discovered exploits they are pretending in the public. In the past we have seen cases where a jailbreak got leaked before going in the public, and then immediately fixed by Apple in just few hours of launch. If Pod2g is not working on the iOS 6 jailbreak, it doesn’t mean that no one is working on the iOS 6 jailbreak for iPhone and iPad devices. On the launch of iPad 3, we reported you the Jailbreakers have discovered more than 5 individual deep exploits to land the Cydia on your devices. So, the jailbreakers will soon back you as the final release of the tool for the jailbreak lovers.